My friend Tami came down to Pavones Yoga Center for the Words To Live By poetry and mindfulness retreat. We were discussing yoga ‘stuff’ over dinner. Tami was laughing, but I could tell some of the stress around intention-setting was real. 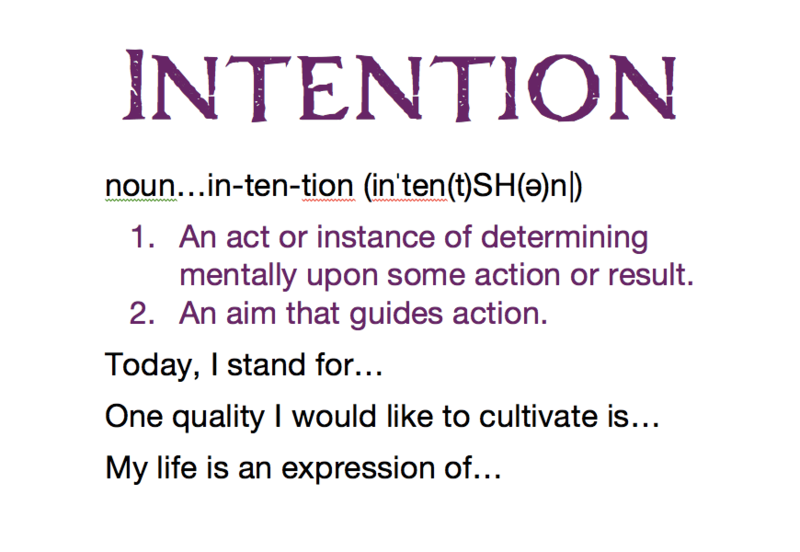 “So — what do teachers mean when they ask students to set an intention?” she asked me next. Before Tami and I got into the conversation about what an intention is, I spent a little time on a soapbox (Tami was very patient) offering a hullabaloo about how she needn’t get down on herself for this experience. On the contrary, it is the job of a yoga teacher to offer insightful and helpful guidance to students in setting intentions. If you’re a yoga teacher, and you’re going to ask people to set an intention, it might be helpful to make sure your students know what this entails. This is why, instead of asking people to set intentions, PYC teachers develop themes and offer suggestions for intentions. (I can’t wait to share deeper insight into theme-weaving during the upcoming Art of Flow vinyasa yoga teacher training). When I incorporate a theme into my yoga classes the burden of giving meaning and purpose to the class is on me, the teacher, not on my students. My students can choose to follow the intention I’ve created, or create their own. Having said that, anytime I find myself in a class where the teacher asks me to set an intention without offering suggestions, I generally stick with something simple like “observe my breath” or “stay in the present moment” because these types of intentions fit into a wide variety of yoga classes. 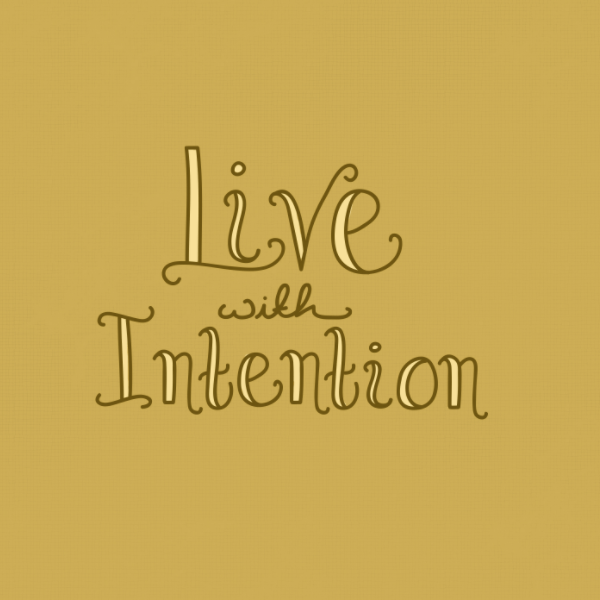 Decide how long you’d like to work with your intention. The new moon is Thursday, February 15. During programs at PYC, we set new intentions with the new moon and release them on the full moon. You can join us in this practice from anywhere in the world. One more helpful hint about intentions: the moment you set one you may find yourself noticing all the ways that you are not living up to your intention. When this started happening to me in the beginning, I thought I was failing at my intention. It wasn’t until later that I realized this is actually the sign that the intention practice is working. Rather than trying to force change to happen willfully with your mind, let conscious awareness simply observe the feeling-tone that is arising in your body. If you stick with your intention, you will come into alignment with it ease-fully over time. Write me with any questions or to share your intention if you’ve found this practice useful. I’d love to hear from you.